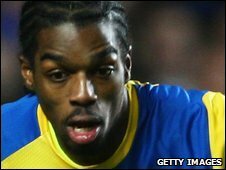 Versatile Southend midfielder Anthony Grant has signed a two-and-a-half-year contract extension to tie him to the Roots Hall club until June 2012. The 22-year-old, who joined the League One club from Chelsea last year, was due to be out of contract this summer. He has played 68 times for United and has recently been playing in defence. He told the club website: "It's good to have it out of the way. I am happy at Southend and playing games because I feel settled here."